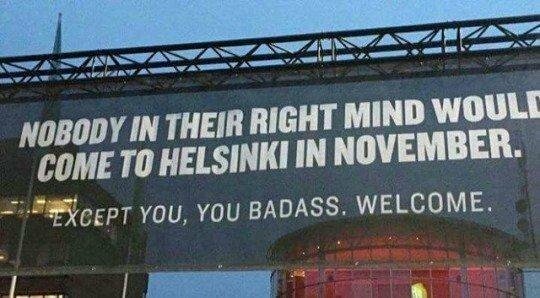 Helsinki in November is a grim place. The weather hovers around minus one and you get seven hours of daylight. Rather than gloss over things, the poster celebrates the awfulness by making braving it a virtue.